My two favorite flavors. Lemon buttermilk is a perfect balance of sweet and tart. I have not had the black currant lambic since we had it in Atlanta. 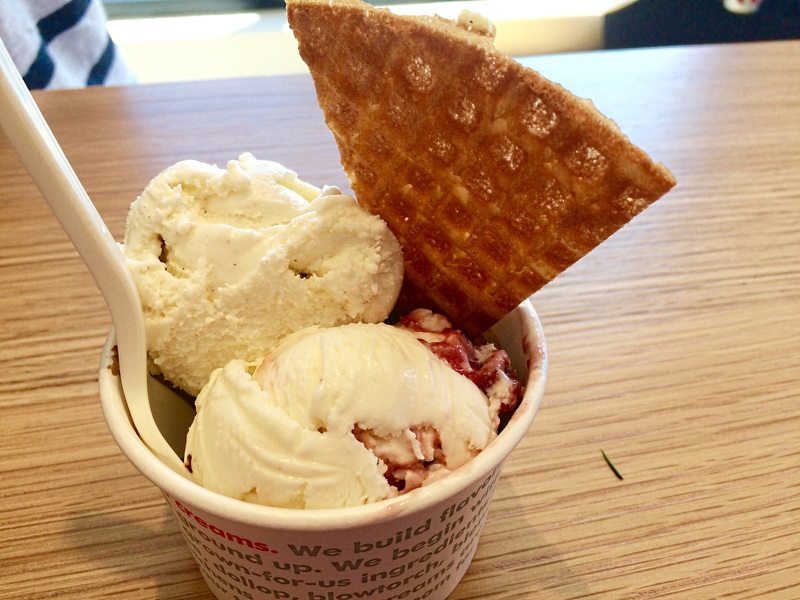 It must be my all time favorite flavor, from Jeni’s. So tart and intense, just the way I like it. 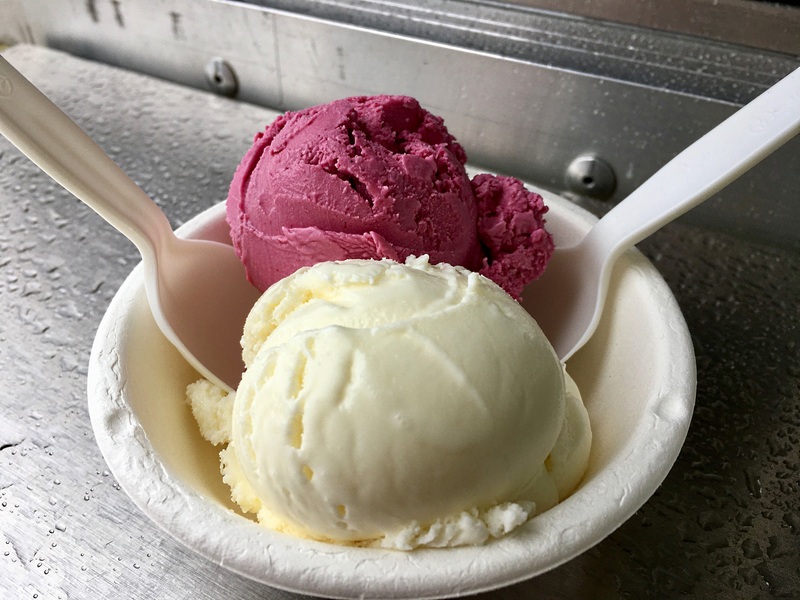 After having brunch at the newly opened Barbara jean, we stepped outside on a rainy day and was delighted to finally see Jeni’s ice cream truck parked outside. I almost screamed with joy!! So, since they were limited on the flavors they offered, I was happy that they offered my two old favorites. Amazing treat as usual. The sun-popped corn was like eating a very delicious pop corn. The lemon blueberries was as great as last time. Tart and sweet. The new watermelon flavor was unusually tasty. Sweet from the watermelon and sour from the cultured buttermilk. 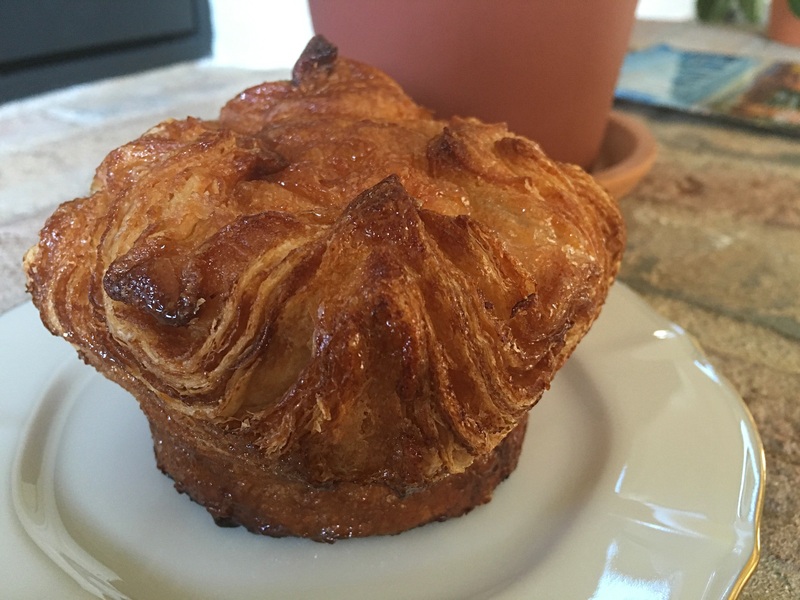 Ever since Twenty40 opened up in Los Feliz not far from their McCall’s market, I have been on the lookout for their kouign amann. It had been a while since we had it because every time we stopped there, they were sold out. I guess my cousin brought us good luck because they had plenty of it in their case. It was as buttery as before but it tasted more sugary. My favorite was the blueberry buttermilk frozen yogurt. Perfect marriage of flavorful blueberries and tart buttermilk. The whole lemon sorbet was really intense and tart. The first few bites were more pleasant than the last ones. I prefer the lemon buttermilk to this one. The peanut butter chocolate added a little sweetness to balance our cup. 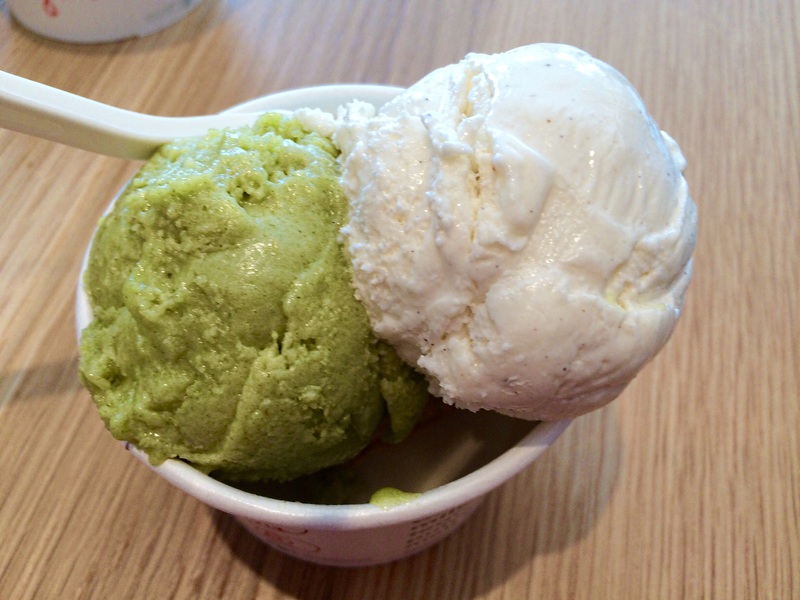 This was our second time trying this flavor and for whatever reason it tasted a little sweeter than the previous time. 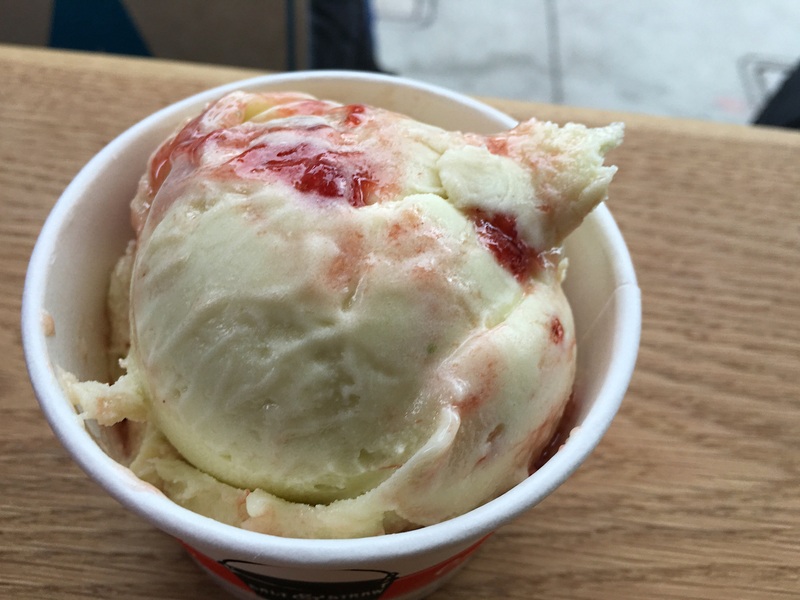 A combination of sweet strawberry, creamy avocado and lime. 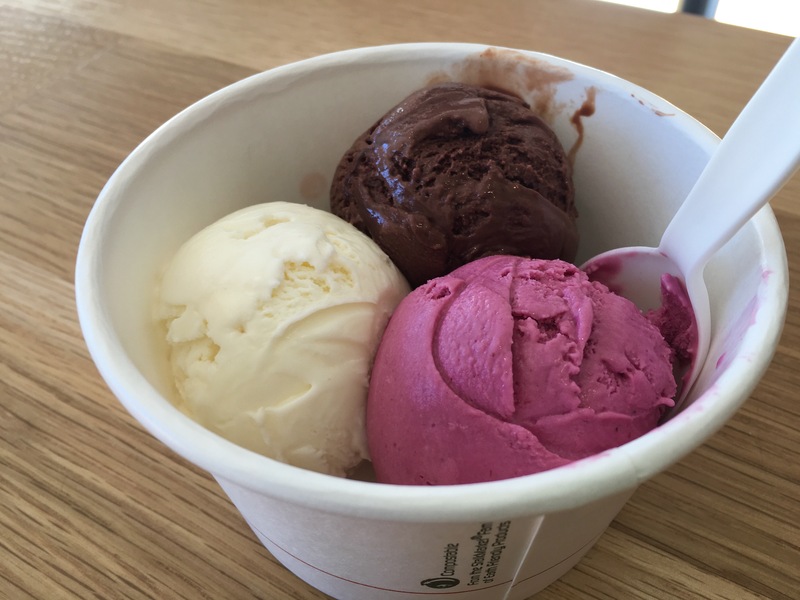 Peppermint cream and dark chocolate, what is there not to like? 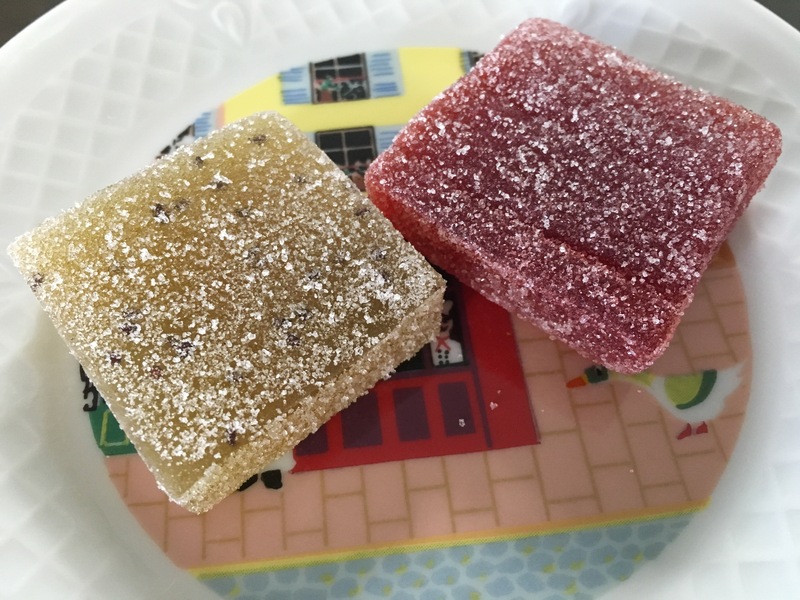 The lemon buttermilk makes you so happy and the black currant is a pure bliss. The chocolat was pretty good but the orange was very icy as you can see in the picture. Darkest chocolate satisfied the chocolate craving. Black currant was as amazing as the previous time with sweet and sour notes. A new favorite was the the lemon buttermilk, so tart and refreshing. 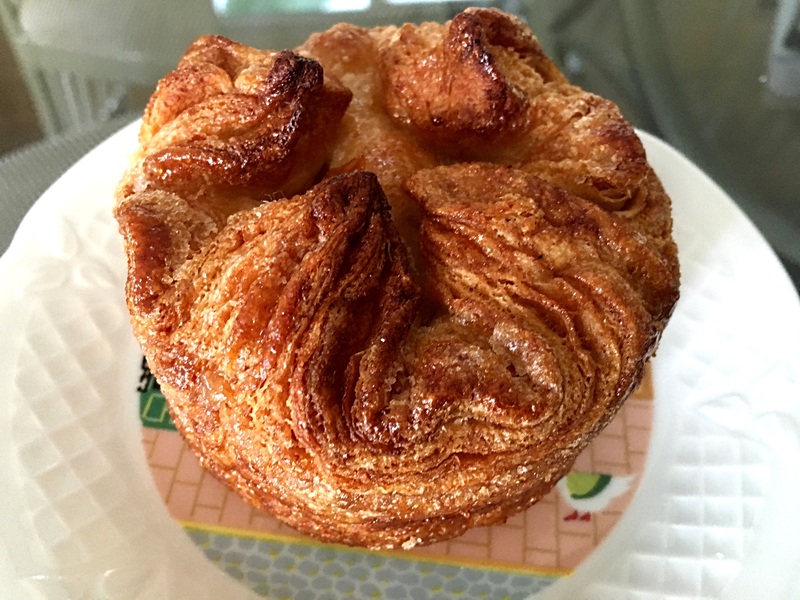 McCall’s Kouign-amann is the best I have found in the Los Angeles area. Very buttery and flaky with a hint of sweetness. The strawberry had a great sweet and sour flavor. The kiwi Lychee was good also but we preferred the strawberry. We recently stopped here twice. 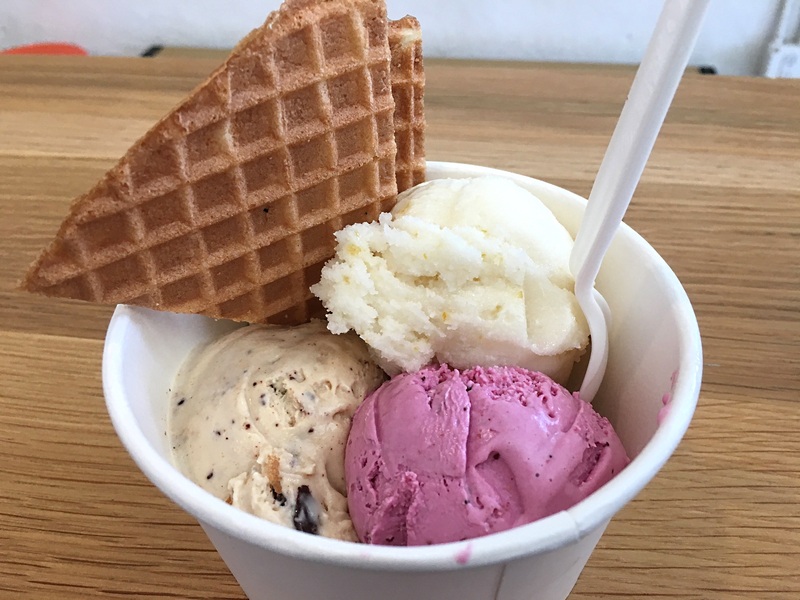 Jeni’s has become one of our favorites mostly because they always offer something tart and refreshing. Mango lassi had a tang from the yogurt and sweetness from the mango. 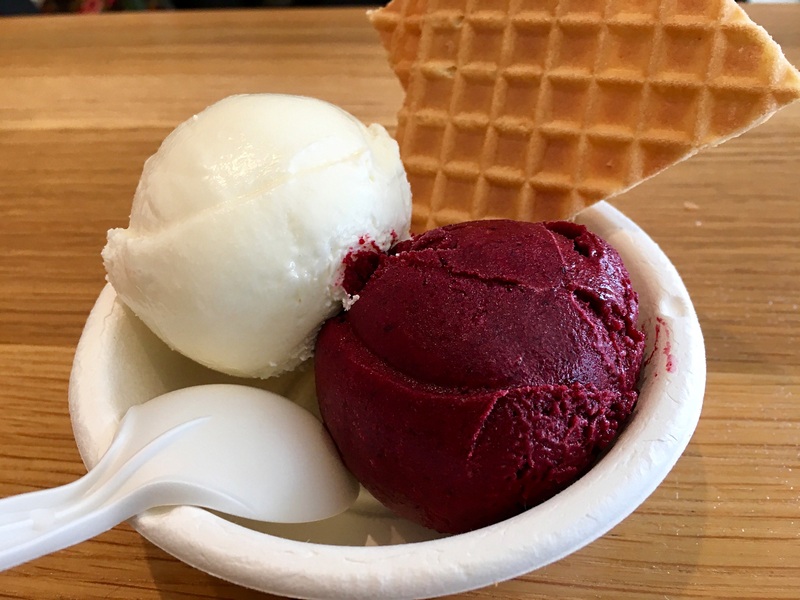 Black currant frozen yogurt was my favorite and that is no surprise considering I love anything cassis. Very tart and delicious and I cold eat it everyday. 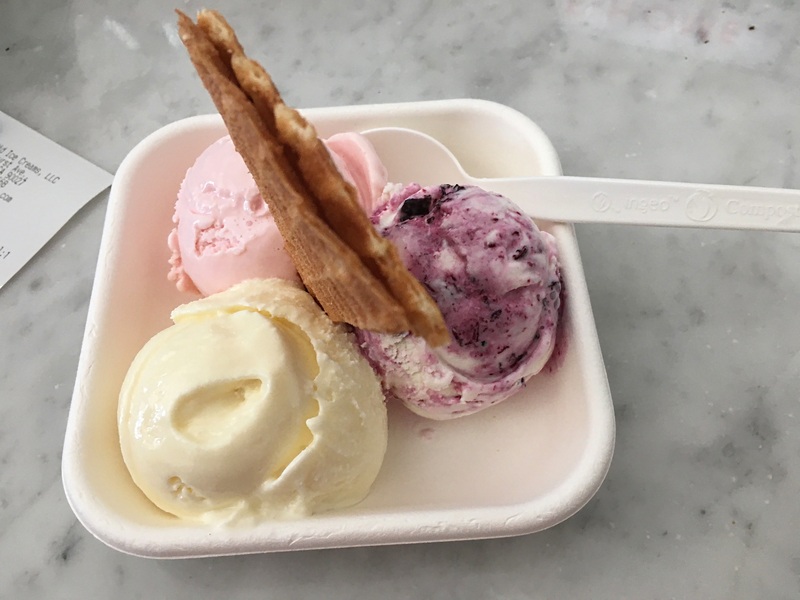 The raspberry sorbet was good but not as amazing as Grom’s. Salted peanut butter with chocolate was pretty good with a nice peanut taste and great texture from the chocolate flecks. On our second visit of course we had to get my favorite, black currant and it was as heavenly as the first time. 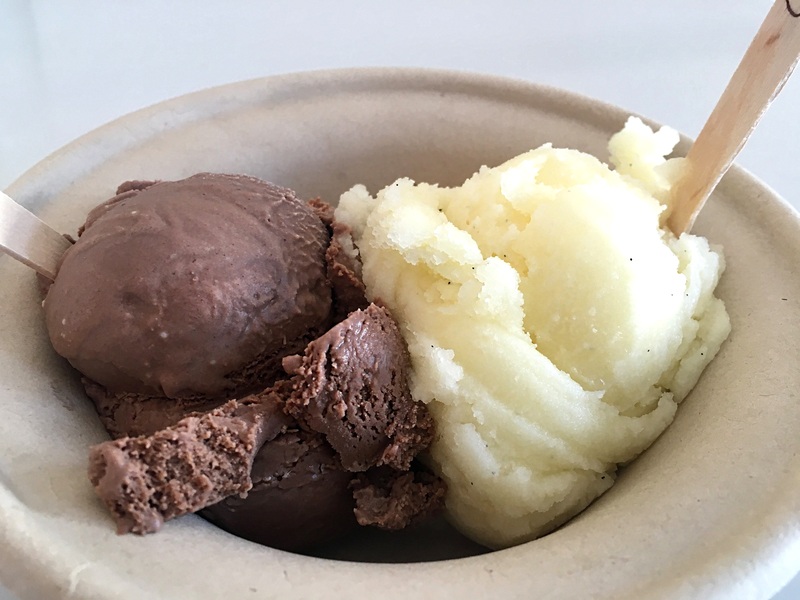 The dark chocolate peppermint was very refreshing with an intense peppermint flavor. 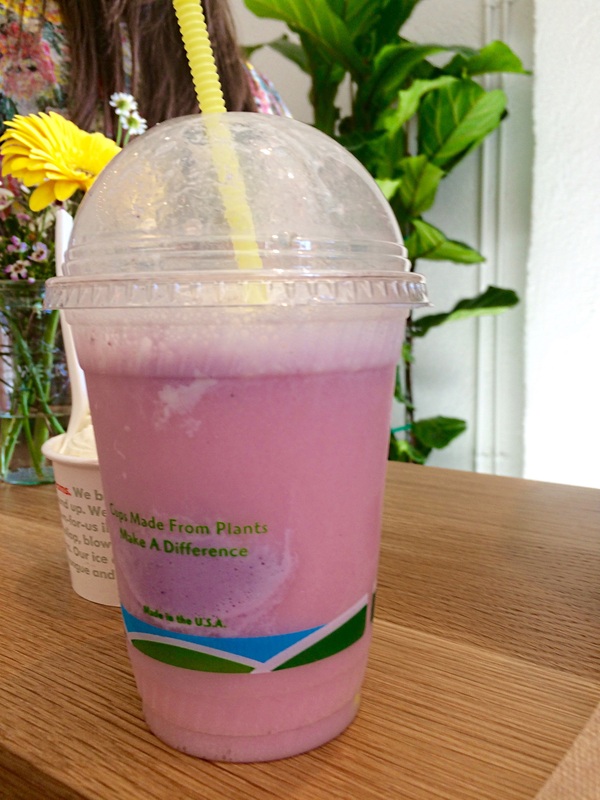 The wildberry lavender had a floral flavor profile. The darkest chocolate at 99% cocoa was very satisfying. Grom’s extra dark chocolate is still my favorite dark chocolate though. 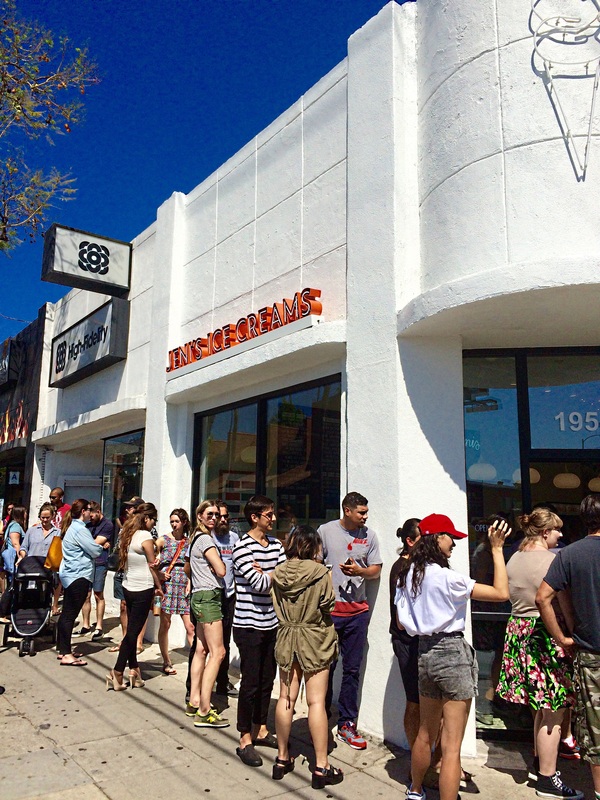 Ever since we had their ice cream in Atlanta last fall, I have been eagerly waiting for their LA location to open up. That finally happened on the weekend we visited. They are located in Los Feliz area. We were surprised that for their third day of operation they had a brisk business and every thing was running smoothly. 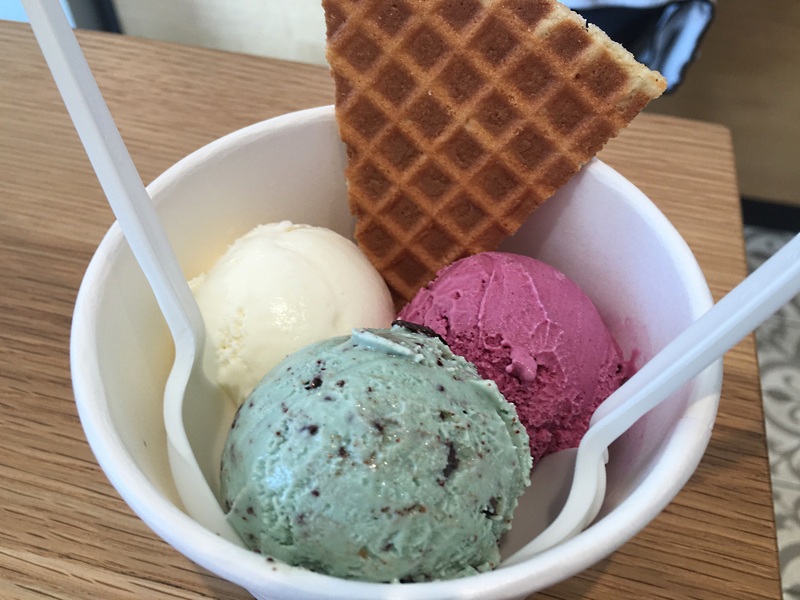 Their single scoop runs $5 and their trio only $6.50. You are crazy if you wont go for trio!! The lemon buttermilk was very creamy and had a sweet sour taste with bits of short bread for textural contrast. The buckeye state was as good as last time. It is salted peanut butter with dark chocolate. Bangkok peanut is another flavor that I had in Atlanta and it was good, but on the sweet side. 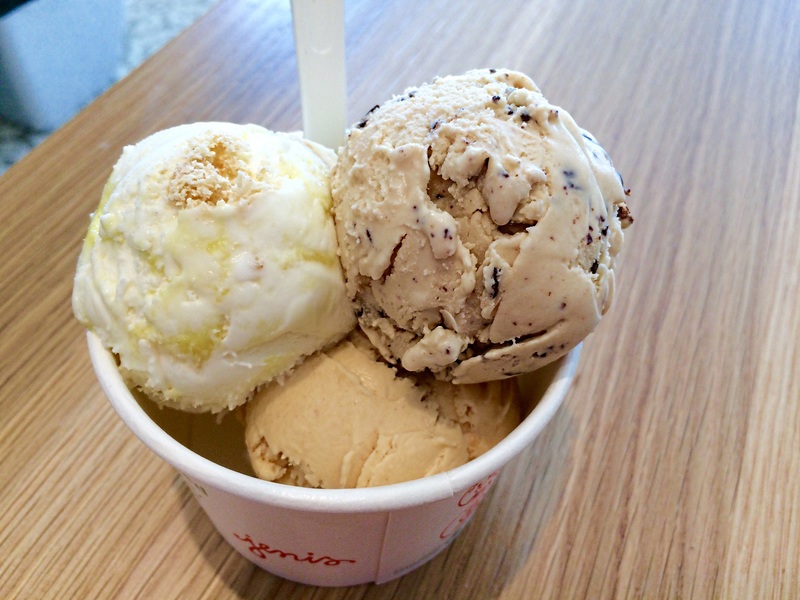 It is a combination of roasted peanuts with honey, coconut and cayenne pepper. We loved the tart lime cardamom. 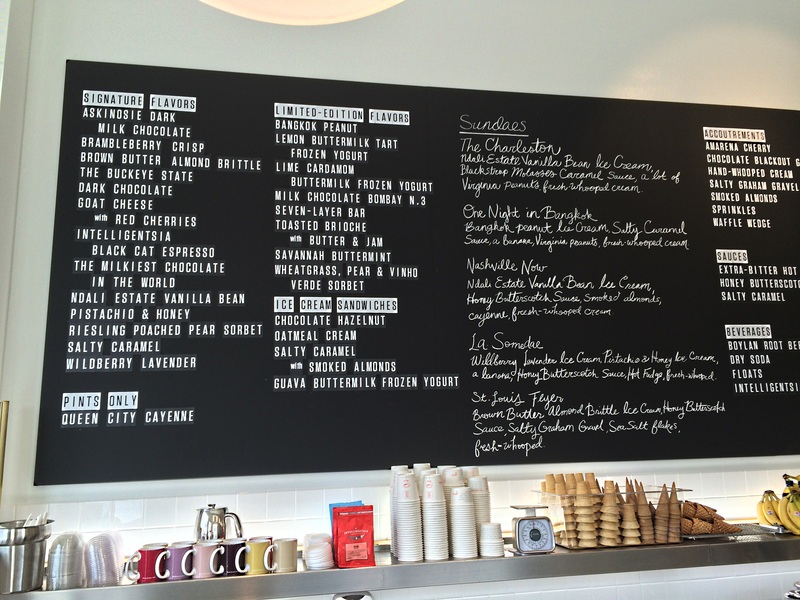 The salty caramel was as satisfying as the one from Bi-Rite in San Francisco. It had a great bitter taste that appealed to us. My husband enjoyed the fruity wheatgrass. A week later, we had to stand in the heat for at least 10 minutes. I had to get my favorite, lime cardamom and it didn’t disappoint. The goat cheese with cherries was a nice combination of sweet/sour cherries with the tangy goat cheese. Dark chocolate had a nice deep chocolate flavor but my favorite dark chocolate is from Grom Gelato. My husband had this and it quenched his thirst.